Next year, the Easter week-end is the last week-end of March. 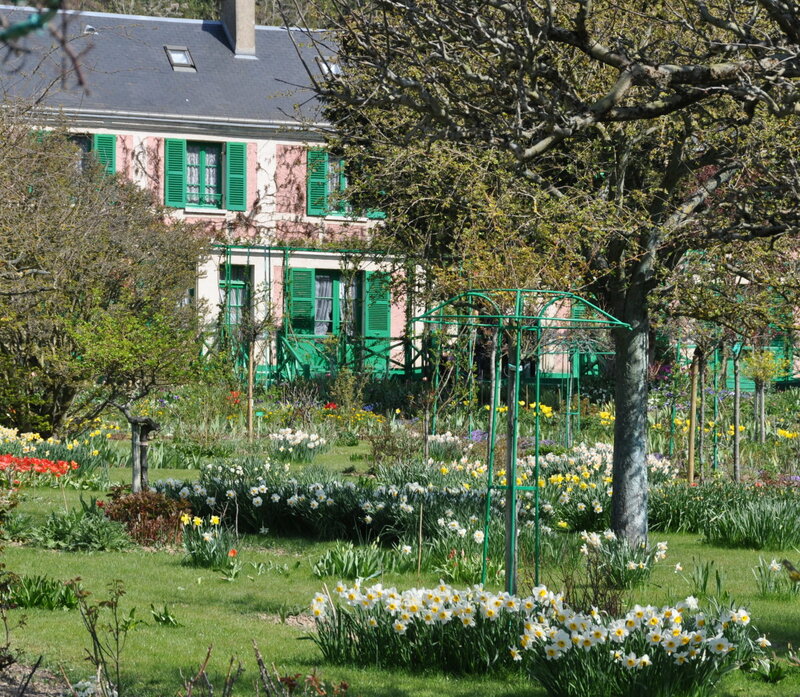 The direction of Fondation Claude Monet has thus decided exceptionnally to open the gardens of Giverny on Saturday 30 March at 9.30am. This will be two days earlier than the normal date. 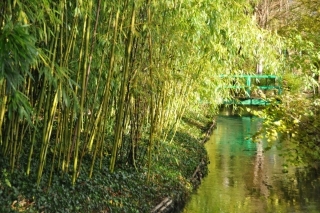 This is how the Monet garden at Giverny looks this week. The gently sloping “Norman Enclosure”, Monet’s backyard, offers an explosion of dahlias of all kinds, and amazing sunflowers, black eyed Susans, nicotinias, sages, nasturtiums, asters, cosmos, castor plants, zinnias, marigolds, daturas, fox tails, etc etc. All these flowers harmonize by colors in monochromatic flower beds. Here the orange version. 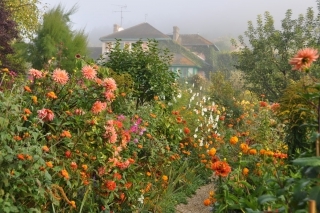 You will also see red borders, purple ones, pink ones, yellow ones… The garden is typically impressionist in late season. In the water garden, the last water lilies float on the pond. The light is ever changing, providing continuously renewed effects. The foliages have started to change their color. Fall is one of my favorite time at Giverny. 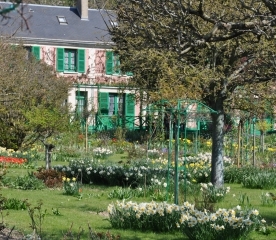 I would not be surprised if it would have been Monet’s favorite time too.